Information is incredibly important ... never more so than in modern times when there is an enormous amount of knowledge and it is easily accessed by more individual people than ever before. It is widely accepted that a strong free media is a good way to hold pubic figures and policy makers accountable for their behavior. The idea should be expanded and enabled using modern technology to hold the business world and global supply chains accountable for the complete range of behavior, both good and bad, that has impact on society and the environment. At the present time the speed of modern communications and the short news cycle has diminished rather than enhanced the role of the media in holding important people and entities accountable, but it is entirely possible to have an accountability platorm of some sort that would be able to organize information in ways that would give incentive to good behavior and expose bad behavior in a meaningful way. TPB Note: In this connection it is interesting to note that some States in the USA have made it illegal to observe the behavior of some segments of the industrial farming industry. These laws are an abomination, and reflect the takeover of some parts of the US legal system by corporate interests. 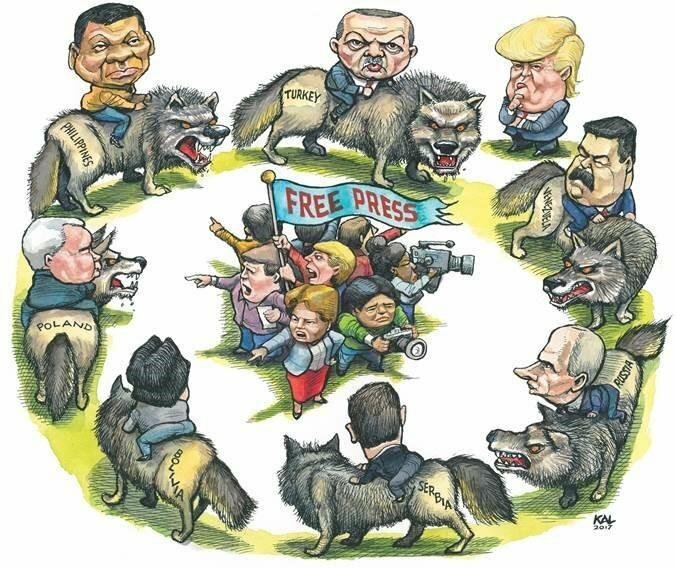 Over the years I have spent a lot of time in developing countries, many of them under autocratic leadership that did not have much liking for the press. Being a journalist was a dangerous occupation, and many journalists over the years have paid a high price either in terms of imprisonment or death. For some time I was impressed by the quality of the journalism supported by the AlJazeera organization ... investigative journalism that was not popular with many of the corrupt regimes in different parts of the world. A series of investigations by Al Jazeera in different parts of West Africa showed how deep corruption was enabling all sorts of corrupt practices which in turn enabled the accumulation of wealth and / or the purchase of arms for all sorts of violence against ordinary people. For some years a UN project funded a journalism project in Africa (based in Dakar, Senegal). When I visited their office some years ago, I asked why there was so much writing about Nelson Mandela's estranged wife and it was pointed out to me that the more serious journalism about African issues would never get past the international editors of major publications in New York or London, but anything that talked about Winnie Mandela got printed!